Jared Leto has gotten plenty of bad press recently and for good reason. The guy is talented when he’s attached to the right project and it seemed like he might be redeeming himself when he landed the leading role in this Netflix original. There was some controversy after some claimed the film to be figurative whitewashing the leading role. The story itself centres on the interesting concept of a former US marine who becomes integrated with the Yakuza during the 1950’s. A compelling idea for a story that could explore some powerful themes centring on the relationship between East and West at a sensitive time. It’s a shame that The Outsider fails in the most unimpressive manner. Okay, so the film is not as God-awful as some critics have stated. There are some great elements here; the cast, the visuals and the soundtrack are all very impressive and handled with care. The problem is everything else in The Outsider. The story follows Nick, a former US marine that’s been imprisoned since the end of the war and through a dramatic event within the prison, befriends a member of a Yakuza family. Within a short amount of time, Nick (Jared Leto) helps his new friend escape from the prison and sometime later and is freed by the powers to be. Upon his release, Nick learns that his former cellmate pulled some strings to get him released and now a debt must be paid back. 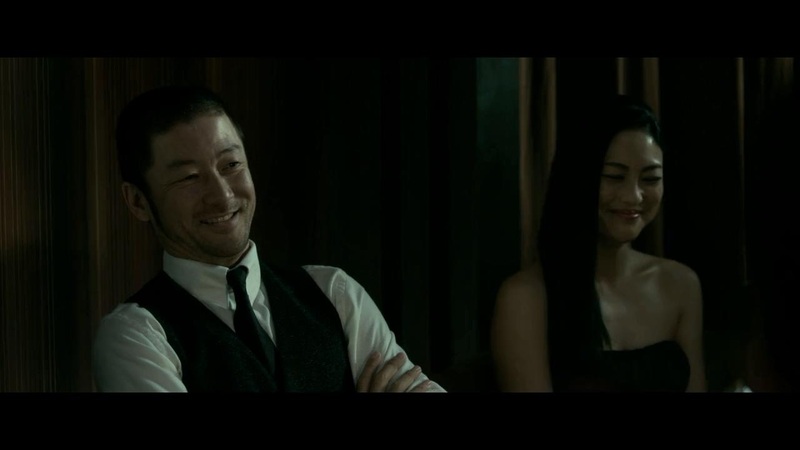 From here, Nick decides to fully integrate into the family and become a member of the Yakuza, in an era soon after the Second World War where tensions were high between the two cultures. Now there is a very interesting concept at the heart of the story which could bloom into a tale of cultural integration. The pressures of having the two cultures merge through love and violence could be an interesting character study of someone who’s out of their element in the most extreme situation. Having a former US marine who fought the Japanese during WW2 would be a fascinating and daring way to do just that. But we don’t get any of this. Instead what we get is a very pretty looking, shallow and rather dull crime thriller that tries to be The Departed, Drive, Only God Forgives and every other better Yakuza movie ever made. The biggest problems with The Outsider are the story and unfocused direction we’re supposed to follow. The plot begins very confident enough to grip your attention but soon becomes a dull and tedious mess that ends up being a generic crime thriller. There are various plot holes, story elements which go nowhere and are forgotten about within a matter of minutes along with poor pacing and what feels like a paint by numbers story. Essentially you can predict every step of this movie including which characters are about to die and where the story is going. Watching the first 40 minutes of The Outsider will heavily remind you Drive. There are plenty of elements the director clearly took from Drive and Only God Forgives to use here to give a grander sense of depth and meaning to the story and to the character of Nick. 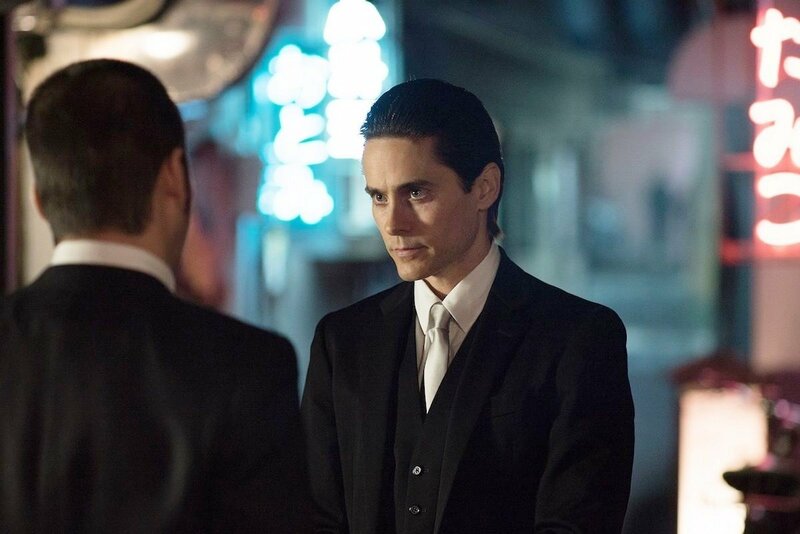 Jared Leto plays the quiet, recluse leading character that seems nice enough but has vile, explosive bursts of violence with various set pieces that end in violence and the tone feel very akin to Drive. But the flaw with this is that we don’t know Nick well enough, to begin with, and early on we see him as an unhinged maniac who resorts very quickly to violence and then in the second half seems very calm and composed. This film also relishes a little too heavily on gore to shock you without any weight or substance to it. Drive used clever edits and only carried out the more gruesome scenes later in the film, once characters were established and did so with great intensity. Also with Ryan Gosling’s Driver, while a professional getaway driver was for the first half of the film a gentle recluse who did care for another human being. So when he becomes more violent and aggressive, it’s an interesting change of character that feels natural. Nick is all over the place as a character and also lacks any real identity or a worthy investment. I get that the Yakuza are violent and this guy is a former marine, but the first hour is a dull collection of violent acts with no sense of purpose. Time better spent developing characters and story. There were great opportunities to explore PTSD or craft a clever story about revenge or anything other than a dull crime thriller. 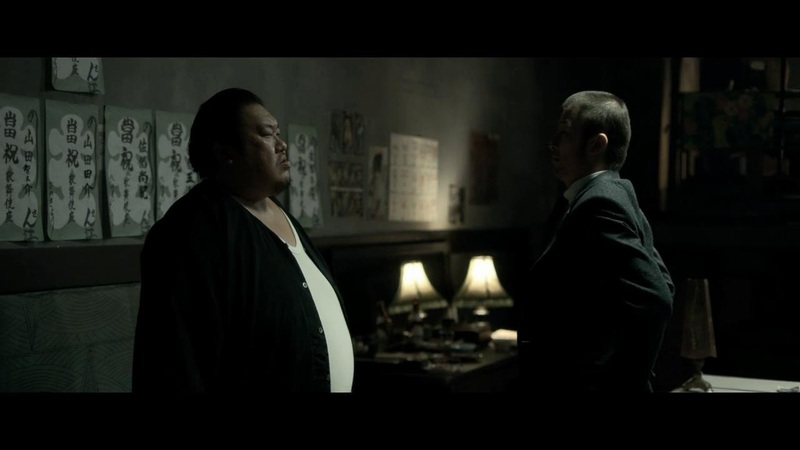 Maybe Nick be an internal threat to the Yakuza or is this a clever plan for him to gain entry into the Yakuza? But while the first half of the film is a brutal, thuggish tale of a wannabe gangster, the tone shifts to a bland, boring crime thriller that really doesn’t need Jared Leto’s character at all. I hoped for something that explored an interesting character study, such as Gangster No. 1 in Japan or dived into the bigger picture of having a white, American join the Yakuza which I’m sure would’ve been a big deal. There’s no tension, no drama that comes from his integration apart from one supporting character who decides to turn his back on everything he loves because he’s slightly jealous. Trust me what he does just seems extreme for being envious of a white dude joining the Yakuza and even so he doesn’t really speak about it. He could’ve committed the acts for any reason. From this point, everything goes by so quickly that hardly anything develops in the story and the film’s third act and ending just feels rushed and everything is wrapped up neatly within 5 minutes. There’s a moment later in the film which seems to be important, as Nick is given a smidge of backstory and this event could’ve diverted the story into a new path. But this moment of the film starts and ends within four minutes and is completely forgotten about leaving us to wonder why it happened. It’s a scene that you can see the outcome coming a mile away and becomes another useless segment of the film that should’ve been developed or just cut out completely. 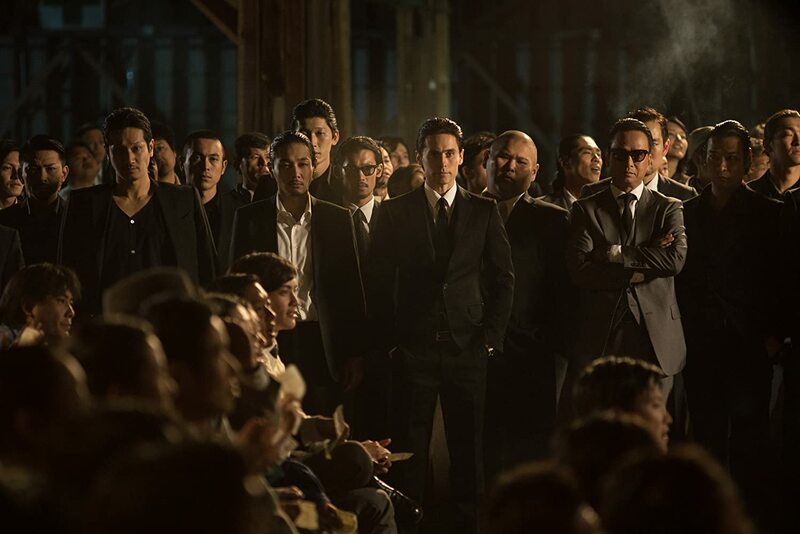 The Outsider could’ve been a brilliant period piece that compelled viewers to observe a clash of cultures in a fragile era just after the war by integrating a Western who served in the army to join one of the world’s most deadly organisations. There is a good film here but it’s ruined by mixed directions, a bland and uninspired plot and a missed opportunity to explore some compelling themes. It’s not awful at all but this is such a boring film that misses the mark that I do ask why even have Jared Leto here or his character if nothing relevant happens to make his existence meaningful in the first place.